Love Live School Idol Project – Anime Reviews and Lots of Other Stuff! Who did this to her! Recently on April 14th, Aina Kusuda left a series of tweets on Twitter that prompted concern and large shows of support from her fans. Who the heck did this to this princess! As things are now, we don’t know what happened and the tweets as of now have been taken down. I wish I knew what happened. I’m sad. When Aina-sama’s sad then the rain falls on the worlds of her fans. Love Live Movie Coming Out Summer 2015! So the official website of the The Cinemas has listed the films coming out from Shochiku which is currrently 120th anniversary. The line up has shown the beloved Love Live movie is going to be coming to Japanese theaters in early Summer 2015! I can’t wait! Let the hype train roll! You’ve already seen my Speculation post about it. Let’s hope that they do the Love Live School Idol Project vs. Idolmaster movie! Hey everyone. It’s Deven and I’m coming at you with a bit of Love Live news. Now as you know Nozomi is a shrine maiden at a local shrine in the anime. Now that shrine is called Kanada Myoujin Shrine. Since both seasons of the anime have come out, the shrine has been getting a massive surge of visitors because of Nozomi’s appearance there. Because of that, the Shrine decided to work with it and made Nozomi the Shrine’s mascot. It’s not the first time that this has happened for a Love Live girl to become a mascot for something. Earlier last year, Rin Hoshizora was made the face of the Sega x Love Live collaboration. Also and this is big one. At the shrine there is a fair amount of exclusive Love Live and Nozomi goods that can only be bought there. This is great for Love Live and I wish they’d make more of the Love Live girls mascots for other things. Maybe Honoka a mascot for a Japanese sweet shop or something? This is the guide! The guide that everyone that plays Love Live School Idol Festival needs! So it’s one night I’m checking Twitter and Nick’s talking to one of our fans about LLSIF and he asked a question. When I came on, I answered and he then asked about how to get Love Gems. Then I decide to do this post and mix it with a way to get Love Gems easily. Okay there are good few ways to get some Love Gems. 1.First if you’re just starting out then you’re in a good position. During your first week playing LLSIF, you’ll get 3 Love Gems as your Daily Login bonus. So by the end of the week, you’ll have 21 Love Gems. 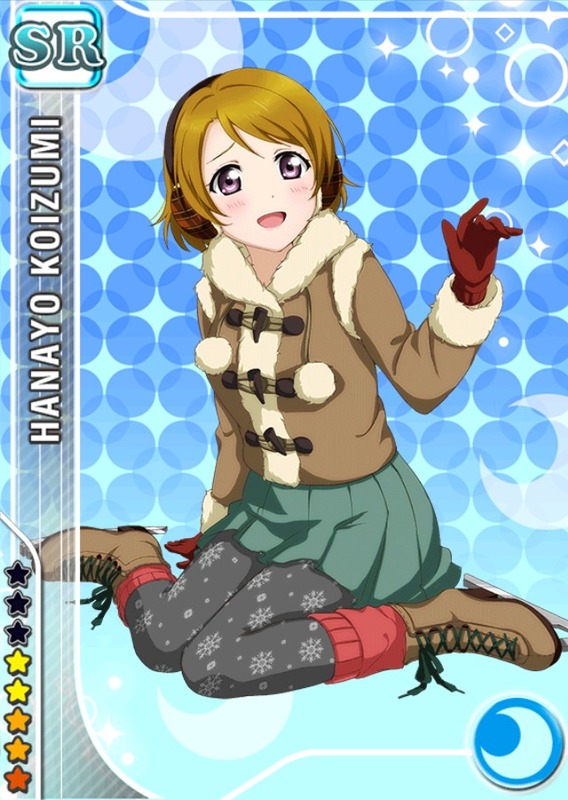 -When you start out there are around 50 Normal cards that you can idolize. So that gets you at least one 10+1 Roll. After that, it’s hard to get some Love Gems. -If you don’t have the talent to get through a Expert song you need to use an entire team of Stamina restoring cards. Mine are mostly Pure Cards. -Just getting through the song nets you this Love Gem but it only works for the first time you do it. -Depending on how high the level of the song is, you can do this with just a team of Rares. However the higher the level of the song, the more Super Rare and Ultra Rare you’ll need to hit S Rank. As for the Combos, that’s all you and you’ll need practice. -These just come up through the course of the game. Just play through the game or the Event and you’ll get them easily. -If the game goes down unexpectedly, they’ll throw you a Love Gem or two. Now that we’ve gotten the normal ways out of the way, it’s time to get Love Gems deviously and without any form of honor…Swagbucks! Swagbucks is relatively simple to do and in three weeks worth of time, you can easily get enough cash for a $50 iTunes Card for iOS. If you have Android you can just get it converted to a PayPal account. 2.Next play Swagasaurus Run under the Play tab then let it suicide. Then repeat until you hit the day cap of 10 SB. 3.Stream videos under the Watch tab. Then you can just either watch those or just let them play in the background until you hit the 150 SB cap. But it’s fairly hard to get to. There’s a few other Swagbuck ways to get cash I’ll link you to the LLSIF Reddit post where you can get all the info.